Professor Davis teaches a range of Journalism and Creative Writing courses. Professor Davis’ essays, reviews, and articles have appeared in The Washington Post, New York Newsday, Columbia Journalism Review, The Wall Street Journal, The Philadelphia Inquirer, and The Chicago Tribune, as well as other publications. 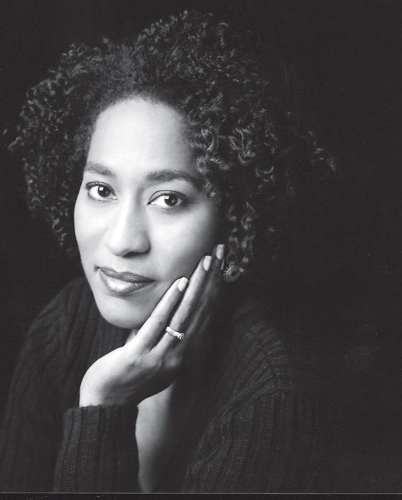 Professor Davis’ debut novel Shifting Through Neutral was published in hardcover by HarperCollins in 2004 and in paperback a year later and was chosen as an “Original Voices” selection by Borders Books. She is completing her new novel, entitled Lagos, which is set in 1980s Nigeria and inspired by her experiences while doing research on African media women. Professor Davis is also a filmmaker. Her feature-length drama, Naked Acts, was theatrically released in 1998. Professor Davis was the screenwriter/producer/director of the film, which as screened in 25 film festivals on four continents and won key awards. She received a BA inEnglish from Spelman and an MS in journalism from Columbia. Bridget Davis was honored by the New York Association of Black Journalists with its 2007 Excellence in Education Award.